Have fun at the Skicircus! Saalbach Hinterglemm Leogang Fieberbrunn is a very spacious and modern ski area on the border between Salzburg and Tyrol, which extends to the right and left over the hills of the Glemmtal and lies at an impressive altitude of 840 to 2,096 metres. The region is one of the five largest ski resorts in Austria and has been given the name Skicircus for its extensive slopes, various amenities and après-ski facilities. It has 270km of slopes and 70 individual ski lifts, with something on offer for everyone, from the beginner to the more advanced skier in search of challenging black runs. The four villages are situated on the Leoganger Steinbergen between Kitzbüheler and Berchtesgadener Alps. What's more, the famous Steinerne Meer is not far away. 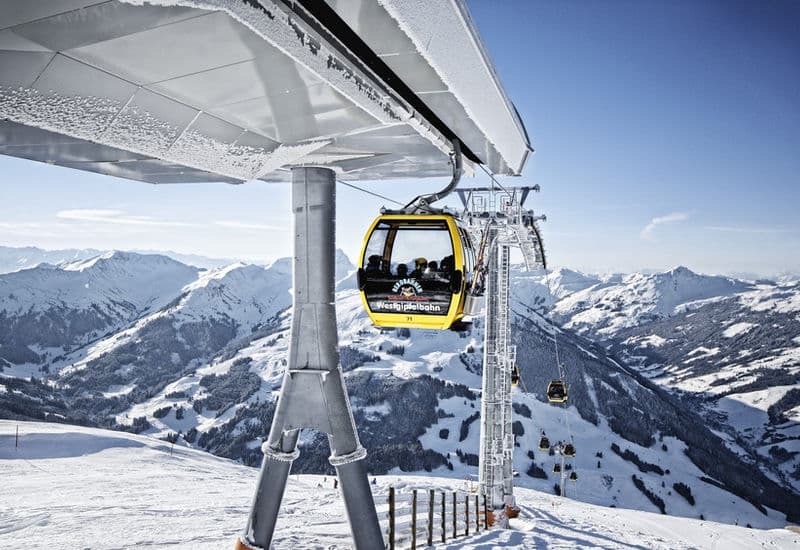 The mountain stations of the Kolmaisbahn, the Bernkogellift and the Schattbergbahn are all on the edge of Saalbach. The nearby village of Vorderglemm is connected to this area by the Schönleiten Railway. Over the ridge, the Salzburg towns of Saalbach and Leogang are connected via the ski infrastructure to the Tyrolean Fieberbrunn, which is already in the neighbouring valley. This means that in winter you can sometimes get from village to village faster via the lifts and slopes than via the road! For hours you can glide through the snow and still see different slopes, enjoy different perspectives and enjoy a range of exciting skiing possibilities. The Skicircus has an excellent reputation among snowboarders who call the area a "free ride Mecca". There is a surprisingly large number of deep-snow runs here that attract even top professionals. At the same time, the area is an après-ski legend. There are huts and restaurants aplenty, with plenty of evening fun to be had for those after a great way to wind up a day in the Alps. Those who still have some energy in their reserves after a long day of skiing can let off steam in the fun park on the floodlit slope in Hinterglemm, or on the illuminated slope at the Schanteilift in Leogang. Five illuminated toboggan runs are available for lovers of tobogganing. There are also plenty of other leisure activities to choose from: ice skating, curling, tennis and climbing are just a few to choose from. 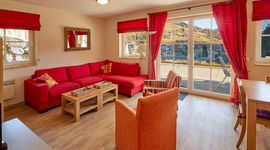 Wherever you choose as your home base, you've plenty to enjoy with this extensive and incredibly varied ski area. The focus here is on easy to medium difficulty levels. If you want to take ski or snowboard lessons, Saalbach Hinterglemm Leogang is the right place for you. Here you will find various ski schools with a comprehensive range of courses for beginners and advanced skiers. Whether snowboard, carving or cross-country courses: in the corresponding ski schools, you will learn it. 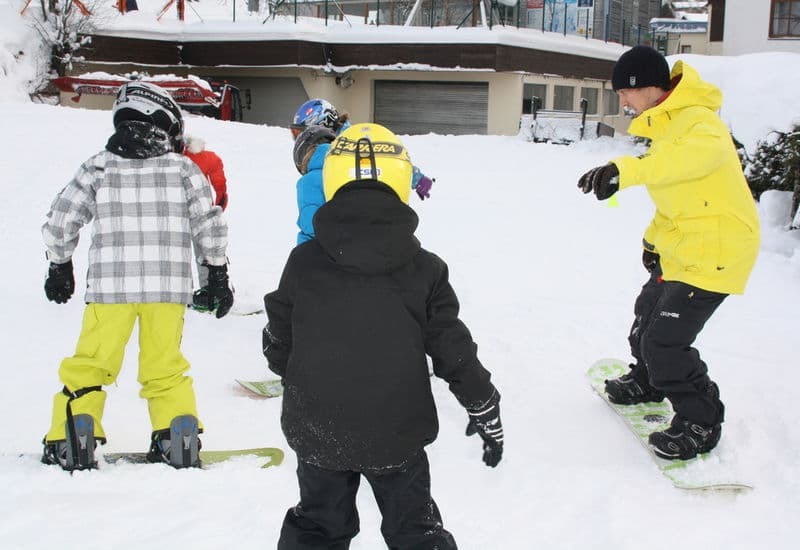 The ski schools are perfectly equipped to teach children and offer them their own areas and ski kindergartens. The ski pass for the area is valid for all lifts in Saalbach, Hinterglemm Leogang and Fieberbrunn. With this, you have access to no less than 270km of slopes and 55 lifts. You can also ski in the Saalbach Hinterglemm Leogang ski circus on the illuminated Schanteilift and Unterschwarzach night ski lifts. All ski passes are offered as key cards. You pay a deposit of 2.00 Euro, which you will get back after handing in your ski pass. With this ski pass, you can use almost all ski slopes of the Salzburger Land. The Salzburg Super Ski Card gives you access to 23 ski areas on an amazing 2,200km of ski kilometres! The ski pass is available at all ticket offices in the participating ski resorts. With a valid ski pass, you can use all ski buses in Glemmtal. The ski bus runs in Saalbach Hinterglemm and between Leogang and Saalfelden. However, there is no connection between Saalbach Hinterglemm and Leogang. Are you a snowboarder? You're in the right place here, with a great many attractions to entice you. Within the ski area, you will find a considerable number of deep snow possibilities and off-piste experiences. The actual snowboard Mecca is between Saalfeld and Fieberbrunn, where there are less developed slopes. Boarders can improve their technique in the various fun parks. The funparks at the Unterschwarzachlift in Hinterglemm and at the Asitzmuldenbahn in Leogang are kept in top condition by professional snowpark shapers. Jumps and perfectly formed corner jumps, big airs and various rails at the Asitzmulden lift in Leogang, steep angles and speed jumps in the floodlit snowpark in Hinterglemm and much more inspire the riders! There are a total of 10km of groomed cross-country trails. This area is, therefore, less suitable for passionate cross-country lovers after more range. For lovers of tobogganing, there is an illuminated toboggan run on the Reiterkogel. With a valid ski pass, you can use it free of charge whenever the mood takes. The toboggan run may only be used with rented, company-owned toboggans of the mountain railways. The toboggans are equipped with safety brakes; this special braking system is easy to use and guarantees safe skiing but above all lots of fun! In order to have fun, you wouldn't even have to ski in the Skicircus, there are so many bars, discos, huts and restaurants. Passionate skiers will also appreciate the special atmosphere in a snow or umbrella bar. There is really no wish left out - from gourmet restaurants to lady bars to table dancing. 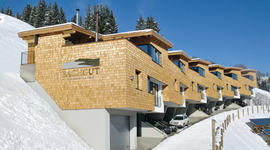 The lion's share, of course, is made up of restaurants on the piste and in the valley, which have been completely geared towards making the tired skier more adventurous again: Alpine huts with open-air dance floors as well as rustic Pinzgau parlours or trendy bars with an in character. On the ice and in the snow you can go hiking or go-karting, ice skating or curling. Horse-drawn sleighs and snowmobiles are available for excursions into the winter world. Coasters bring thrills, while helicopter sightseeing flights make for a special experience. Are you drawn to the warmth? Then you can choose from several thermal baths. Indoor sports such as tennis or climbing offer compensation from the snow - and there is also plenty of culture: from the historical schnapps distillery to various museums.